Large room and washroom. Excellent beds and other facilities. Hampton Inns are always a good choice no matter where you are. Stay was less than 24 hours. Very clean. Hallway cold. Mixup at front desk. Didnt try the breakfast. Got me to and from airport. It is within walking distance of the Richmond night markets with plenty of Asian eating venues. RiverRock Casino and Richmond Night Market are in walking distance. Richmond night market being so close. Richmond Night Market is located in a vibrant area of Richmond known for its array of dining options and major shopping area. The neighborhood is home to 23 hotels and other accommodations, so you can find something that works for your stay. 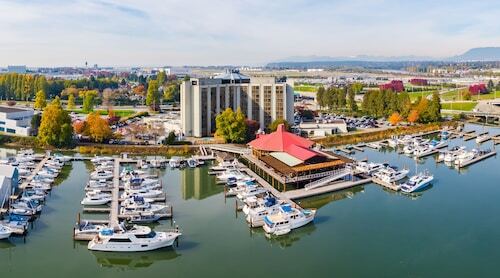 Coast Vancouver Airport Hotel: With a stay at this 3-star hotel, guests can enjoy access to a restaurant and a fitness center, along with free WiFi. It's a favorite with Expedia travelers for its family-friendly amenities and overall value. 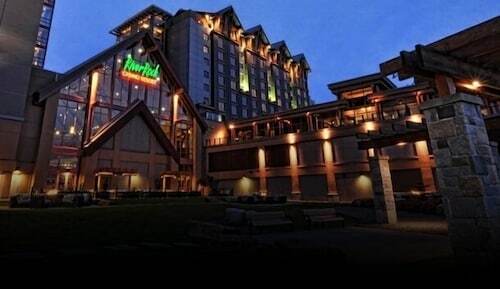 River Rock Casino Resort: This 4-star hotel features a marina, a full-service spa, and a casino. It's a favorite with Expedia travelers for its central location and comfortable rooms. 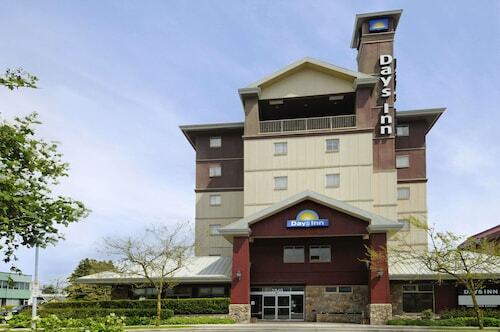 Travelodge by Wyndham Vancouver Airport: This 2.5-star hotel features free breakfast, an indoor pool, and free WiFi. Our customers like its family-friendly amenities and central location. After you've visited Richmond Night Market, you can discover everything there is to see and do within a couple miles of the area. Learn about local history at Ling Yen Mountain Temple and Kwan Yin International Buddhist Temple. Get outside and spend some time strolling around VanDusen Botanical Garden, Queen Elizabeth Park, and Minoru Park. If you're looking forward to a day of shopping, consider Richmond Centre Mall, Aberdeen Centre, and Main Street, and pick out the perfect souvenir. Richmond Olympic Oval and Richmond Nature Park are both worth a visit while you're checking out the area. Spend some time checking out Granville Island Public Market, which is 5.4 mi (8.7 km) from Richmond Night Market, or make a stop by BC Place Stadium, located 5.8 mi (9.4 km) away. With so many ways to get around, exploring the area around Richmond Night Market is easy. You can take advantage of metro transit at Lansdowne Station, Richmond-Brighouse Station, and Aberdeen Station. You can find out about water transportation options at the local port.